Framaroot: Learn about One Click root apps and discover new tips on rooting. Start rooting your Android mobile without Android knowledge with Framaroot APK. Also, read tutorials on Framaroot App, SuperSU, Root Check etc. As the app isn’t available on Google Play Store, you have to install it via Framaroot 1.9.3 APK file. Read more tutorials, Root Check methods and FAQs about the app. If you’ve been using Android for a long period of time, you must be already aware of the term ‘Rooting’ and what benefits it brings with it. If that’s the case, you may download latest version of Framaroot APK directly and use it. Many Android developers use Rooted devices to test their new apps and also tweak the performance of the mobile app. As Rooting is a process that requires precision and technical knowledge, it is not recommended for beginners. If you’ve decided to root your mobile, you can do it in two ways. Manually root the mobile with ADB drivers. 2.1 How to install Framaroot APK? 2.2 How to use Framaroot 1.9.3? 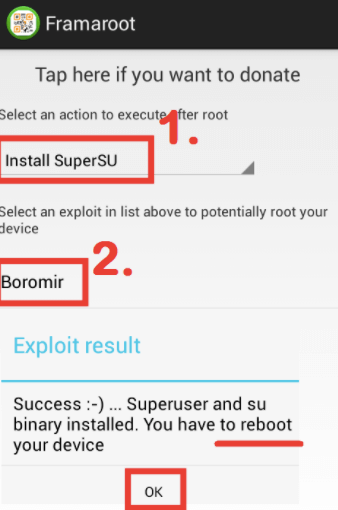 2.3 How to Root using Framaroot and SuperSU? 2.5 How to execute scripts with Framaroot? 2.6 How to unroot with Framaroot? 2.7 How to download Framaroot donation Apk? Generally, we need a computer system to root any Android device manually by USB debugging process. This has been the standard process of rooting from the beginning. By using Framaroot, we can avoid the complications of black screen of death/phone hang errors that occur if not rooted right. Framaroot explores each mobile by it’s model, operating system, chipset and run a set of commands that will turn the exploit into a rooting opportunity. This enables the app to root/unroot your mobile with one-click. As rooting is against the rules of Google guidelines, the app isn’t available to download from Google Play Store. You can download Framaroot APK latest version for Android below. Simple and easy UI: Framaroot is designed by keeping beginners in mind. So even if you don’t have previous experience, rooting is easy. Execute scripts: You can execute custom scripts in the OS using Framaroot. These scripts can be exploits or just tweaks to the already existing operating system. One click root: As the app functions by finding exploits within Android, you can just root your device with one click. Root directly from the app homepage. Root without PC/Computer: Never use your computer again to satisfy your root needs. Framaroot has it all sorted. You can perform advanced root functions directly with app. 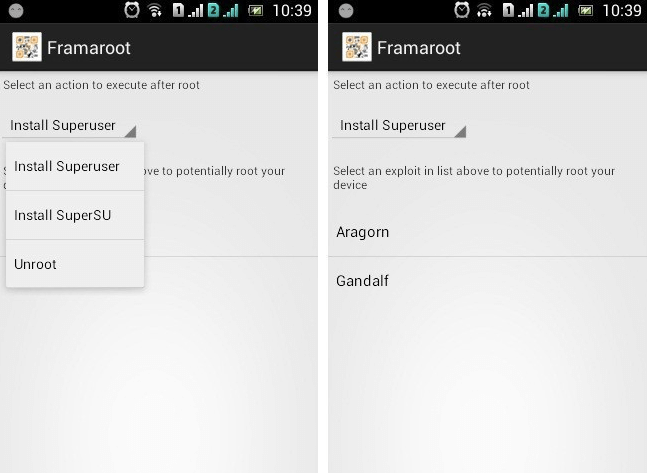 SuperSU installation: Framaroot 1.9.3 APK installs SuperSU by default after rooting the phone. ‘#su’ is a command that is used for root level permissions in operating systems. Perform these functions with SuperSU. Root/Unroot: Unrooting an Android device is a very risky process that can result in screen deaths or RAM issues. Framaroot simplifies everything by allowing you to root/unroot within minutes. Mod APK Support: Framaroot App roots your mobile perfectly and enables support for many Mod Apks that need root access. So, install apps like Spotify Premium Apk, Facetune Mod Apk, Gamekiller No root Apk and many more root required apps easily. To download and install Framaroot, you must at least maintain Android 1.5 and higher. Although Framaroot is compatible with all Android versions, it is recommended that you use Android 4.4 and higher. 1) First, download Framaroot APK 2017. All the versions of the app are same irrespective of language. So, download the latest version. 2) After downloading, try to install the app by clicking on it. If you encounter an ‘installation blocked’ or ‘unable to install’ error, then you must change your Android settings. If you’ve already installed APKs before, the app will be installed without errors. 3) Go to your Menu>Settings>Security. Here, find ‘Allow installation of apps from unknown sources’ option and tick the box beside it to enable it. Now you can install any APK file. 4) Open the Framaroot app from your downloads to start installing. How to use Framaroot 1.9.3? Using Framaroot is simple and easy. You can start the app directly from your Mobile desktop. Tap on the app to open and use the existing three options – Root, Execute Scripts and Unroot. These 3 options are the main features of Framaroot. How to Root using Framaroot and SuperSU? Framaroot is only a rooting app that can’t be used to modify super user commands. To do this, we need SuperSU – the best commands app for rooted mobiles. The app can also be directly downloaded from Google Play Store but it won’t be useful if the device is not rooted. So, after rooting via exploits, Framaroot App will install SuperSU to check commands. Follow these steps to root your mobile. 1) Open Framaroot and you will find ‘Root’ option on the homepage. 2) To root mobile, click on ‘Root’. The app will now check for potential exploits in your device. If you are running Android 1.5 to 4.5, chances are very better. 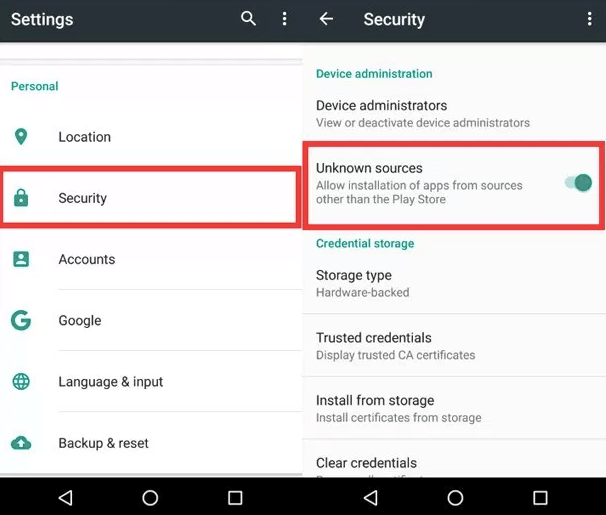 If you are running the latest version of Android, there is a little chance of finding exploits. 3) Once the app completes scan for exploits, it will show you the below options. Exploit successful – this means Framaroot found exploits on your device and is ready to be rooted. Your device seems not vulnerable to exploit – this means your phone is too secure to find an exploit and can’t be rooted. 4) If you encounter the second option, try rooting manually by USB debugging method or else try other rooting apps like King Root. 5) If you get ‘Exploit Successful’ message, click ‘Ok’ and go to available exploits. Try with each of the exploits found and your device will be rooted with any one of the exploit. 6) Once your device is rooted, you will get three options. Choose any of the option once your device is rooted. Select ‘Install Superuser’ and select an exploit for testing. 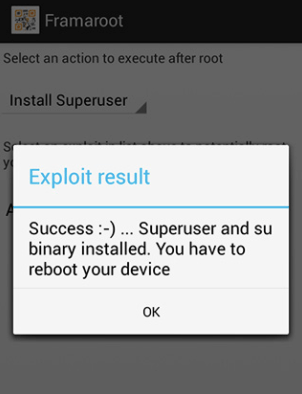 Once the device is rooted with exploits, you can check for super user permissions by installing SuperSU. Once the root process finishes, you have select an option by default. Select ‘Install Super User‘ or ‘Install Super SU‘. If the exploit is successful, you will get a ‘Congratulations, your device is now rooted’ message. Now reboot your device and your Android mobile will be rooted from boot. You can now modify, view or edit super users permissions for root apps. How to execute scripts with Framaroot? Your device must be already rooted. If it’s rooted and running with SuperSU, open the app dashboard and click on ‘Execute scripts’ option. Create a custom script or upload a script. How to unroot with Framaroot? Rooting and Unrooting are the easiest processes with Framaroot. Once you’re sure that your device needs unrooting, open the app and check whether your device is rooted correctly with SuperSU. If you’re device is rooted properly, you will see the option ‘Unroot’. Click on ‘Unroot’. This will bring a permission popup message. Click ‘yes’ to start unrooting your device. Unlike Rooting, unrooting is a risky process that can lead to bricking, shut down or sudden restart. Your mobile will restart automatically after unrooting. How to download Framaroot donation Apk? Framaroot donation APK is a premium version of the app that has been discontinued. The only version you will find is v1.0 which is still in beta and not recommended for use. Only download latest version of FramaRoot APK v1.9.3 and try to root your Android device. Got questions? leave a message on our contact forms.